An ever-growing array of cyber threats including malware varieties, various types of viruses and phishing attacks are threatening internet users every day. These cyber threats are widely used to infiltrate, access sensitive and personal information, or damage the device. In order to prevent these, we recommend you to use a reliable and trustworthy antivirus and Internet security software. However, it could be hard to choose the antivirus which exceeds your expectations. 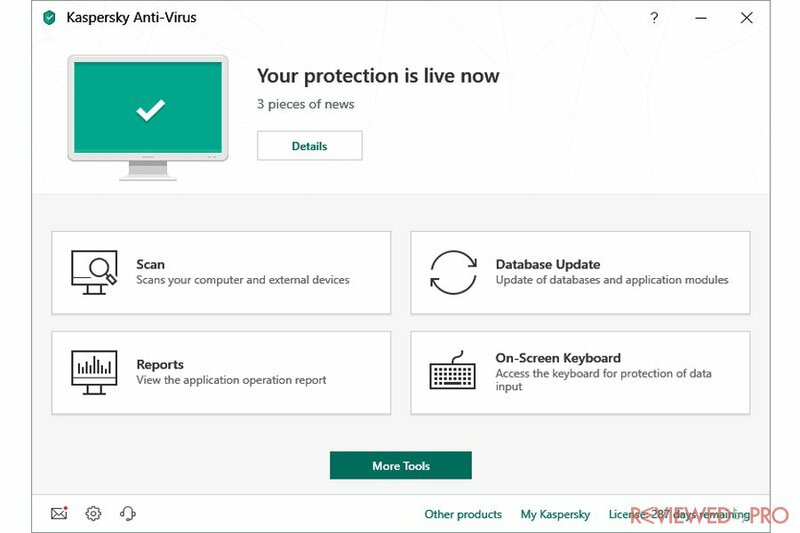 Today’s antivirus offerings and a variety of providers might mislead some users in choosing the best product, that’s why researchers at Reviewed by Pro constantly test and review Security, Privacy, Recovery solutions, and other utilities, so users can choose the most suitable product for them. In this article, our researchers evaluated two well-known Internet security brands Kaspersky and Avira. So let’s check which one is better. Which is better Kaspersky or Avira? Both, Kaspersky and Avira are well-known names in the antivirus industry and have been developing security tools for years. The table below reveals the winner according to different tested categories, such as offerings, antivirus protection rates, security and privacy features, performance scores, interface design, and popularity among users. Avira has a wider selection of features and tools. Avira demonstrates better performance rates. Avira has a more convenient interface. Kaspersky is more popular among users and has a bigger market share. Kaspersky antivirus system is developed by Kaspersky Lab, a Russian multinational cybersecurity company. The company was founded in 1997 and since then, provides individual users and businesses with award-winning security products. Kaspersky offers security solutions across all the major operating systems, including Kaspersky Anti-Virus for Windows, Kaspersky Internet Security for Android, Kaspersky Internet Security for Mac, and iOS devices. In addition, it develops password management, endpoint security, and other cybersecurity products and services for consumers and businesses (Kaspersky Small Office Security). Avira is a German-based company. The security vendor focuses on providing award-winning Antivirus, Internet Security, Privacy, Identity and Performance software and tools for individual users and businesses. The company was founded in 1986. 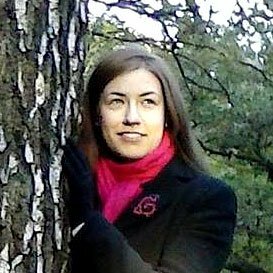 Since then, Avira successfully operated the industry. Avira offers a variety of products including Avira Internet Security, Avira Antivirus for Android, Avira Antivirus for Mac. It also develops a VPN service Avira Phantom VPN, and a number of antivirus, performance, and privacy software for both, users and businesses. 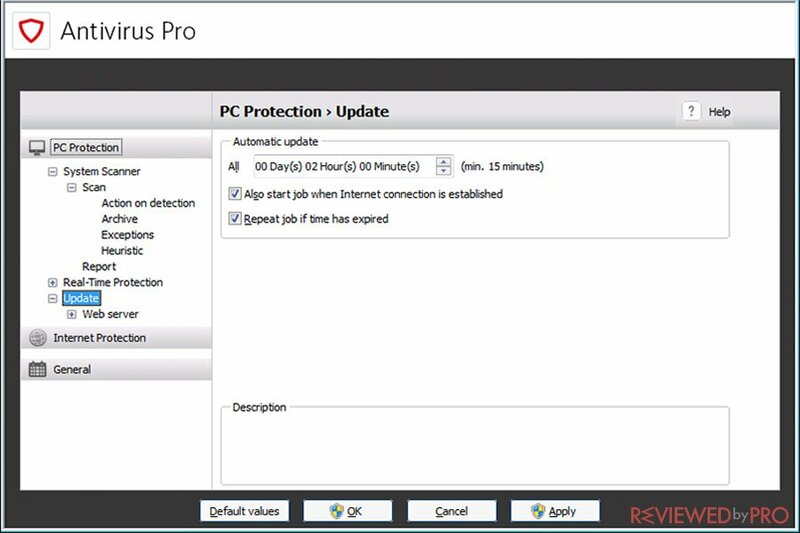 Kaspersky Anti-Virus delivers essential virus protection for PCs. Kaspersky Internet Security protects online security and guards user privacy on PCs, Macs, and Mobiles. Kaspersky Total Security is capable of protecting an entire family. An ultimate set of security tools compatible with PCs, Macs, and Mobiles. Kaspersky Cloud Security introduces patented Adaptive Security. Avira Antivirus Pro covers the security essentials. Avira Internet Security Suite is the most popular product from Avira, offering a variety of security, privacy, and performance features. Avira Prime is compatible with Windows, Macs, Android, and iOS devices, allows all-in-one access, flexibility and all new premium features. Avira SafeThings secures all smart devices in the household against cyber attacks, viruses and spying attempts. Kaspersky also offers various tools, such as Kaspersky VPN service, Kaspersky Password Manager or Parental Controls for kids. Avira detects and blocks all types of malware, such as ransomware, Trojans, viruses or spyware. It includes Protection Cloud Technology, PUA Shield, Browser Tracking Blocker, Safe Browsing and Ad Guard. 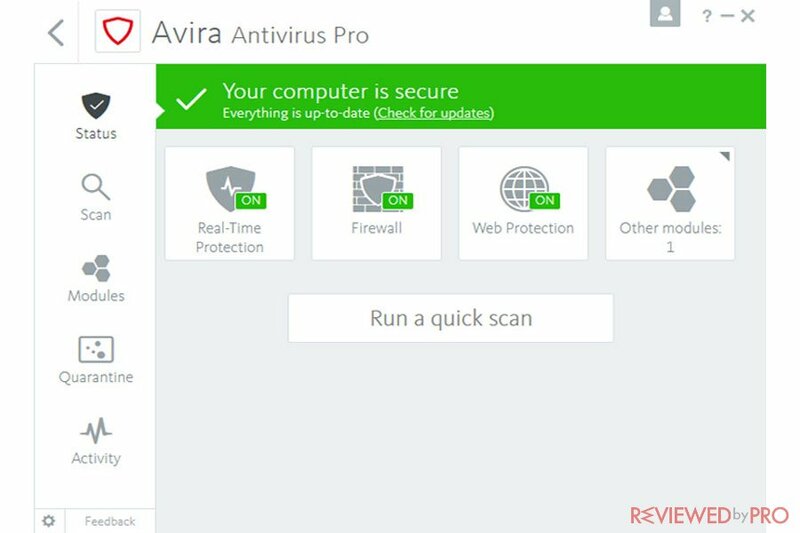 Avira Antivirus Free provides users with next-gen antivirus protection, powered by artificial intelligence, cloud technologies, and endpoint antivirus scanner. In addition to Avira Antivirus Free, users can download many of its free tools, such as feature-limited Avira Phantom VPN, Avira Password Manager, Avira Privacy Pal, Avira Browser Safety, Avira SafeSearch Plus, Avira AppLock+; Optimization tools Avira Free System Speedup, Avira Software Updater, Avira Android and iOS Optimizer. Avira Antivirus Pro includes antivirus features that detect and blocks threats, it also repairs files, secures users while shopping and banking online, includes Ad Blocker, and protects a home network. Avira Internet Security Suite adds extra features including a password manager, it automatically updated applications and drivers, fixes software flaws. Finally, Avira Prime offers VIP customer support and other premium features, such as performance tools, a VPN service, includes privacy, performance and security apps for a mobile device and more. As you can see, Avira provides users with more generous features including a VPN service, privacy, performance and security apps. In addition, you can get these feature-limited tools for free. Just like the majority of antivirus systems, Kaspersky combines a digital-signature matching engine with heuristic monitoring. Utilizing these two methods, the antivirus system is capable of detecting both, known and previously unseen malware threats. All suspicious items are sent to cloud-based Kaspersky's servers for further examination. Kaspersky has detected all the threats we have installed in our test PC running Windows 10. When it comes to Avira's antivirus defenses, the company uses the same detection techniques for all of its Windows products that include a traditional malware scanner that searches for the digital signatures or suspicious icons to match already known malware signatures and heuristic monitoring which looks for suspicious behavior and analyzes code. Avira collects all new and unusual behaviors to Avira’s cloud-based servers, on which all the icons are carefully investigated. The antivirus engine includes Real-time Cloud scanning which examines unknown files in the cloud anonymously from over 400 million its customers. Users can easily turn off the sharing feature. It is worth to mention that Avira demonstrates almost flawless malware detection. It was tested in the latest antivirus tests by the independent German-based lab AV-TEST. Avira got the rating 6.0 out of 6.0 and detected 100% of zero-day malware attacks, including web and e-mail threats. When it comes to detection and prevalent malware, Avira managed to detect 100% and 99.9%. Both providers offer superior malware detection results. When it comes to performance results, Avira is very light on a system and it demonstrates a lower influence on computer speed than most of its competitors. Avira also was tested by AV-TEST that rated it 6 out of 6. Impact while launching popular websites – 9%. Impact while downloading frequently-used applications – 1%. Impact while launching standard software applications – 5%. Researchers at Reviewed by Pro also pointed out that one of the strongest sides of Avira is low resource usage. The full system scan took an average of about 1 hour and 40 minutes. The quick scan took only 1 minute and 30 seconds which is very quick compared to other similar products. To sum up performance results and scores, Avira provides better results and does not drown the system. Avira’s interface is very bight and open. As usual, the main window is half-size and cannot be expanded, but can be moved around. The main window indicates the device’s performance and provides the list of other Avira applications installed, such as Software Updated, Phantom VPN, System Speedup, Password Manager, SafeSearch Plus and Software Updater. Avira also has an informative support page for those, who prefer looking information themselves. Avira also provides customer support via phone and email. Users also can fill out the form to get Avira's technicians to go back to them. We couldn’t say that it is extremely easy to reach customer support at Avira. In order to test the popularity of the brands, we have checked the OPSWAT Windows Anti-Malware Market Share Report that lists ten of the most popular names in the Internet security industry. According to the report, Kaspersky Lab is the seventh with 6.65% of the market share, while Avira appears at the bottom with 4.5% of the market share. Other popular names in the report include Avast, McAfee, Malwarebytes, Bitdefender, ESET, Webroot, Safer Networking Ltd with SpyBot Search & Destroy, Avira, and Symantec with Norton. As you can see, Kaspersky antivirus is also one of the best choices in the market. The antivirus system detects 100% of malware, however, its system performance impact in the latest tests is only average. All in all, we rate the latest Avira Antivirus one of the best in the industry. It is a great application if you have a device that you want to keep running fast and malware-free. Avira offers flexible plans and a decent set of tools. To sum up, we recommend users Avira. The antivirus application was tested by the most recent tests and demonstrates decent malware detection rates and trustworthy performance scores. In addition, it is also very easy to navigate and manage. This entry was posted on 2019-02-18 at 03:39 and is filed under Security.